Security services provider alert the IT world that malware might infiltrate to their infrastructure facilities. However their cyber defense mechanism looks fall into asleep. So strange? Over 140 enterprises in 40 countries affected. Dubbed that fileless or invisible cyber attack common are in three types. They are memory resident, Rootkits and Windows registry. Refer to anti-virus expert interpretation, It evades detection by reducing or eliminating the storage of any binaries on disk and instead hides its code in the registry of a compromised host. The naming convention base on above criteria. Can you still remember W32,Duqu malware? He is the descendants of Stuxnet. We all knew Stuxnet is the famous malware which responsible for causing substantial damage to Iran’s nuclear program identify in 2010. Regarding to the technical articles, Stuxnet and W32.Duqu specification equivalent fileless malware algorithm. Coincidentally, the fileless malware target Windows OS . But this matter would like to bring to our attention is the infectious media. Nowadays enterprise company installed advanced cyber defense facilities. The detective control can effectively quarantine the malicious network activities once infected device going to download the payload file. Such malware download action nearly 99% is a execution file. And therefore no difficulties on malware detector on this direct approach attack today. Refer to analysis report, W32.Duqu make use of true type font as a infection media. The first time I heard this infection technique looks surprise me. We understand now that a true type font can contain a malware then directly exploits vulnerabilities in the Windows Kernel. The attack method was that crafted True Type Font (TTF) files, such TTF file allowed the malware to escape a user-mode sandboxed environment implemented by the Microsoft Word process and compromise the host. 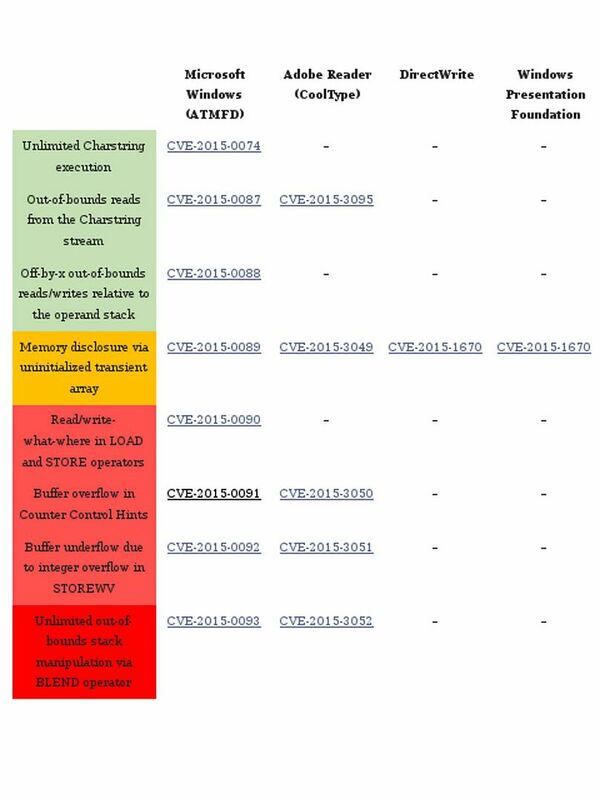 Since nobody else discover more details information on CVE-2011-3402 till exploration kit open the secret in Oct 2012. Remark: A kernel-mode object database (part of win32k.sys) that marshals commands from the application to the composition engine. As time goes by, Google Project Zero summarizes all the details and related information. Vulnerabilities relate to win32k.sys and True type font looks like a never ending story. See below table break down list for reference. Remark: TrueType fonts (made by Microsoft) live in your windows fonts folder. CVE-2016-3029 confirm that vulnerability allows remote attackers to bypass the ASLR protection mechanism via unspecified vectors, aka “True Type Font Parsing Information Disclosure Vulnerability.” The ASLR (Address space layout randomization) is the major protection feature on virtual machine especially VMware. In the sense that the specify vulnerability like flooding. It now effect virtual machine environment. True Type Font Parsing Elevation of Privilege Vulnerability – CVE-2016-7182. The vulnerability is in the cjComputeGLYPHSET_MSFT_GENERAL function of the Win32k.sys system module. This is the design limitation due to improper processing of crafted TrueType fonts (TTF). The vulnerability is due to improper handling of objects within memory. We did analysis tones of documents of vulnerabilities on True type font (TTF) so far. May be you have question? What is the overall impact of TTF vulnerability today? Does all the vulnerabilities has been fixed? We are all on virtual machine environment. 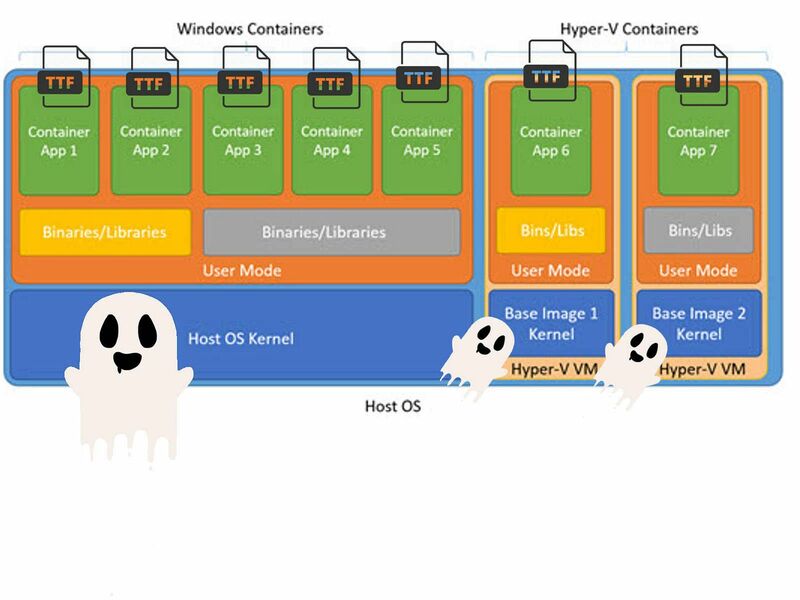 Is there any impact on virtual machines once a single VM compartment compromised? What is the overall impact of TTF vulnerability today? It looks that true type font design limitation integrate with Graphics display mechanism on computer hardware causes never ending vulnerabilities. 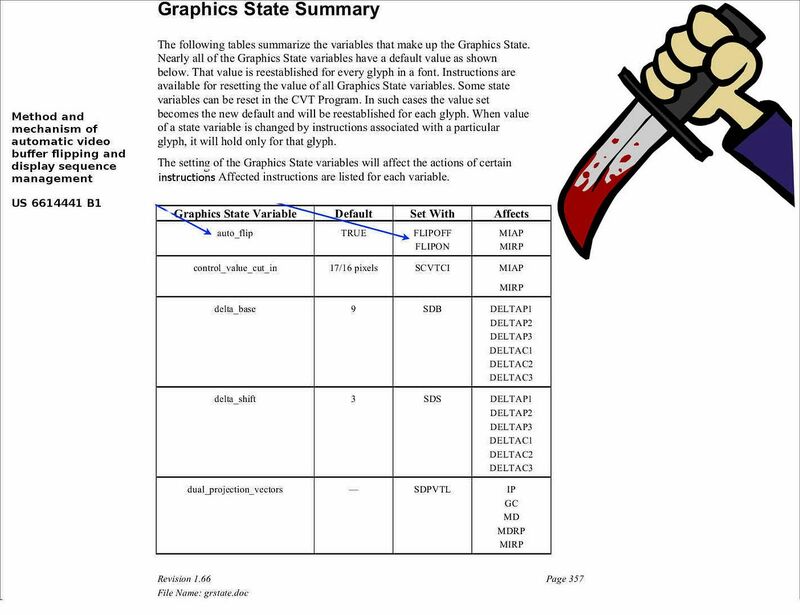 See below graphic state summary table, it shown that a auto flip mechanism will be apply to graphics state variable. You can easy to find hints in below 2 statements to exploit the usage of memory design. Security Expert (FireEye) believed that this is one of the root causes. a control block arranged to control proper “flipping” events based on the sequence of input video capture parameters from the video capture engine registered in the shift registers, said control block comprising a Truth Table for maintaining predetermined display setting values for different auto-flip operations based on the sequence of the video capture parameters from the video capture engine and overlay control signals from the video overlay engine. 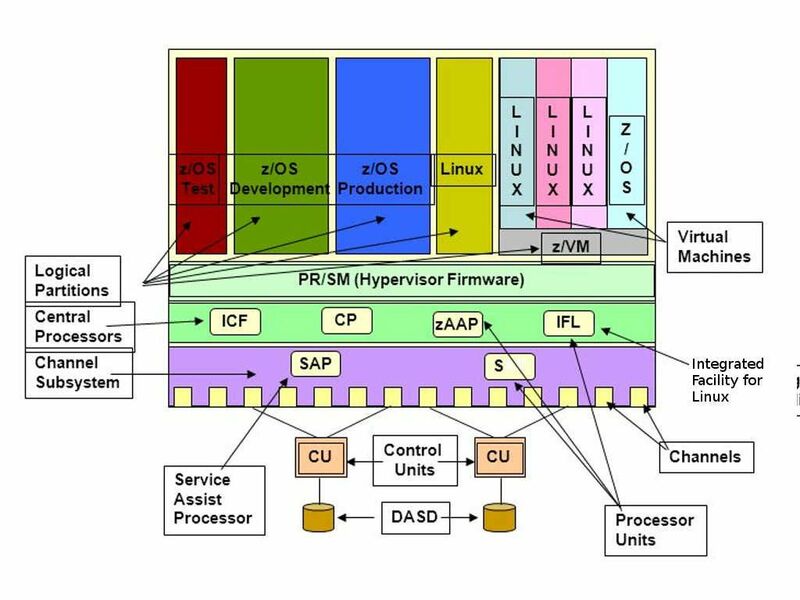 It looks that above issues are the fundamental problem of hardware display architecture. Since memory address of temporarily store memory no bounds checking. And therefore malware can make use of this vulnerability. So the impact of TTF (Ture type font) vulnerabilities are still inherent today. 2. Does all the vulnerabilities has been fixed? Refer to above information details, it looks that it is hard to draw into conclusion today! 3. 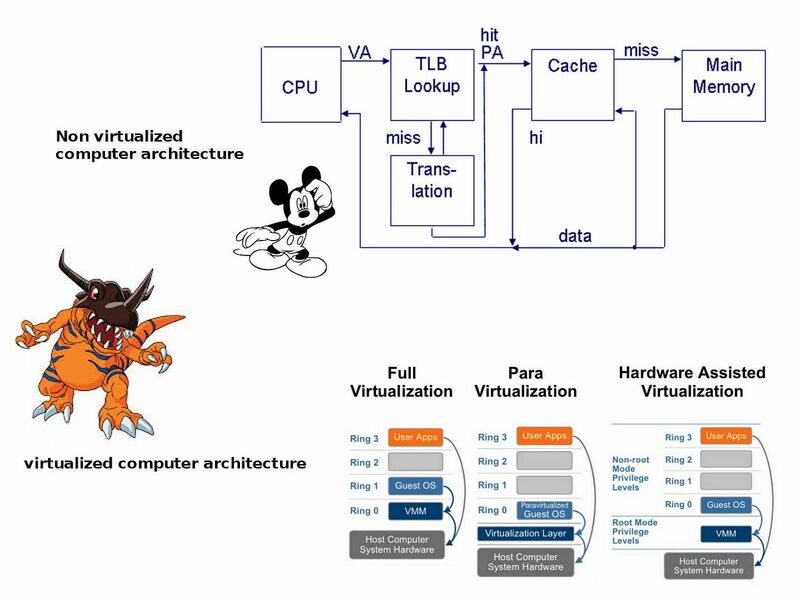 We are all on virtual machine environment. Is there any impact on virtual machines once a single VM compartment compromised? I strongly believed that hackers or governance enforcement team will relies on these vulnerabilities to develop different malware to satisfy their objective. Stay tune! Refer to visual studio documentation, The ushort keyword indicates an integral data type that stores values according to the size and range (0 to 65,535)………. 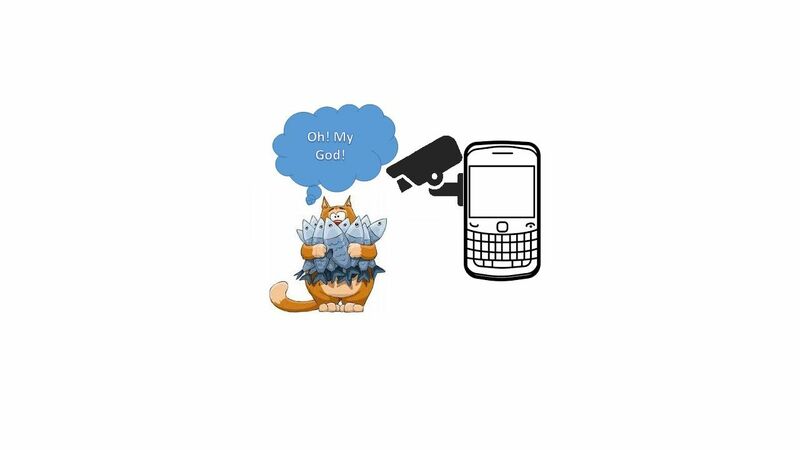 When you pick up your mobile phone daily, no one will be care of your data privacy in highest priority. Since you are busy with your social media apps (Whatapps, Facebook, Instagram..etc). As easy as today make a payment on air through your mobile phone. However, your habit forming behavior might cause inherent secuirty risks silently. Yes, this is not a hot news. My friend believed that his phone is secure since he installed anti-virus program. As easy as today make a payment on air through your mobile phone. However, your habit forming behavior might cause inherent secuirty risks silently. May be you feel that it is not a critical issue once anti-virus program installed. From technical point of view, it looks correct because anti-virus will monitor malicious activities and quarantine the suspicious activities. 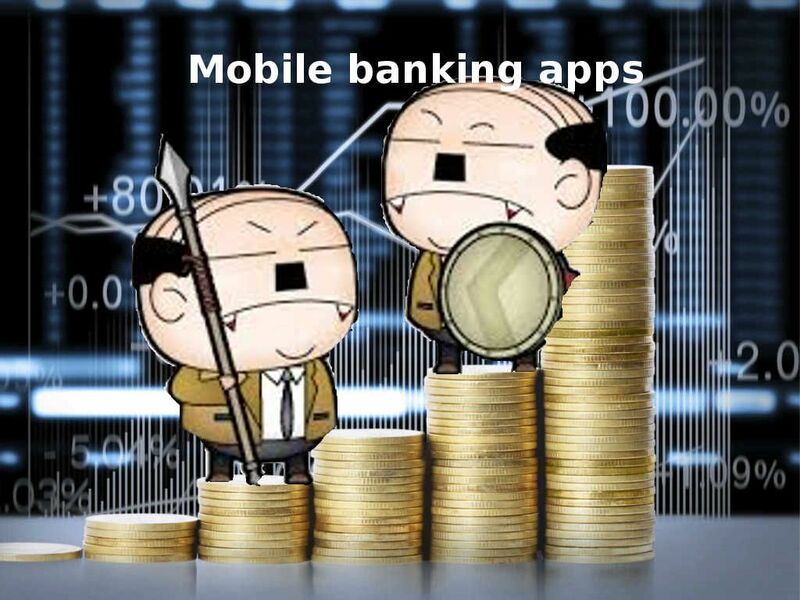 As a general user point of view, we all trusted the mobile financial apps issued by Bank. Do you think it was enough that install a virus protection software and do the mobile patch management. It will resolve all the problems. Regarding to this question, below table can provide an overall idea in this regard. It looks that some component had their own fundamental design limitation. 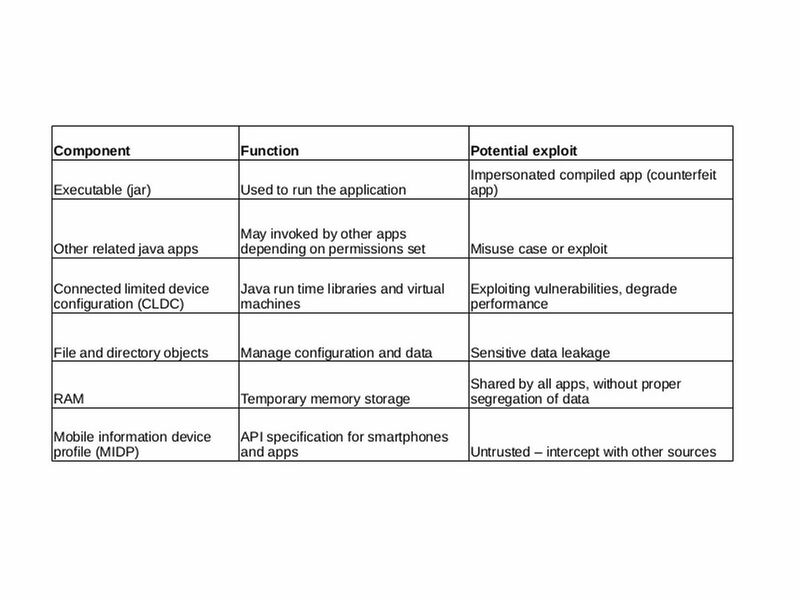 Compare with traditional non visualization computer architecture, smart-phone memory resources usage brings security concerns to subject matter expert. Apart from this, MIDP (mobile information device profile) carry out trusted relationship concerns of mobile phone applications. It looks that tons of security concerns carry out on mobile finance software application. But what is the factors let financial institution keep going to this path but don’t take a U turn? This questions looks everybody can answer? We are living on the earth and it is a demanding atmosphere. The traditional retail banking environment can’t survival on traditional banking product. Besides, labor cost, shop rental fees are count in bankers mind. The bankers think e-business can give assistance. And therefore a electonic technology similar as flooding to change the traditional world was born. A joke told us that business man did not have key term information security in their mind until tragedy happen. As times goes by, mobile banking technology become a main trend today. Even though a small shop in village from China also accept mobile payment. But what is the value of information security no one can answer today especially bankers! Because if someone put information security on top priority means the efficiency of business developement will slow down. But who have guts to carry this burden ask the management board return to twenty years ago technology? What is the possibility or hit rate on malware infect mobile phone? A technology term bring your own device (BYOD) means you are the owner of the device. If an cyber incident occurs on your phone, it is really a sophisticate scenario. As we know, mobile phone system architecture operate on top of virtual machine environment. For sure that the web browsing activities on your mobile phone more intensive compare to your home workstation. Since it is a mobile device, your mobile phone will able to access mobile hot spots anywhere. It increase the attack surface for hackers execute the attack. What if your mobile phone infected by malware? Do you think it will harmful to bank system? If you are my follower, do you remember that we had discussion on malware infection technique last year. A critical malware incident occured in U.S. weapons manufacturer Lockheed Martin Corp on 2011. 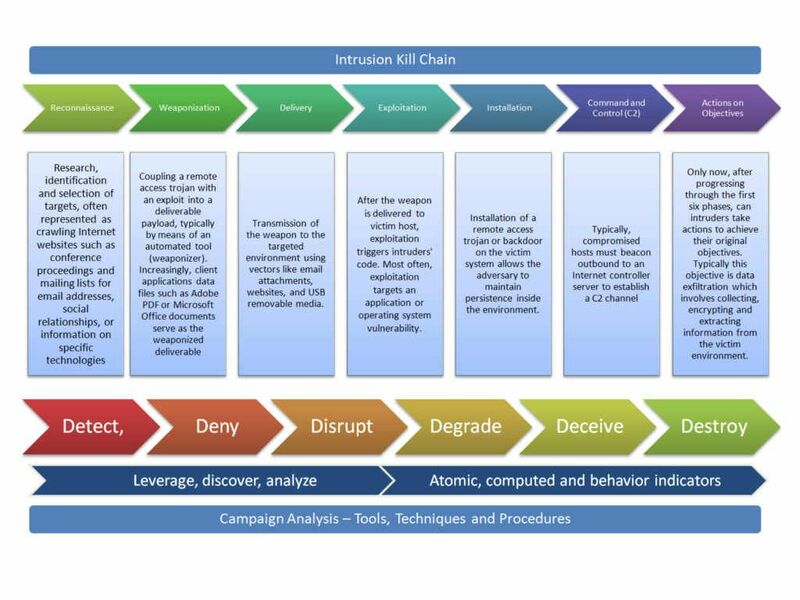 Hackers infiltrated to their internal network.This incident driven Lockheed Martin develop kill chain framework. The goal of this framework is going to defense malware activities. Below table is the famous framework of Lockheed Martin Kill Chain. Refer to above table, disrupt the malware infection process need deny in delivery phase. However the local anti-virus install on mobile phone do not have such capabilities. The mobile finance application provides flexibility to client. But it was not secure! Under this context, can we say online banking will be secure than mobile finance apps install on mobile phone? As a matter of fact, a mobile finance applications install on mobile phone exploits programming syntax once phone compromised by hacker. It such a way assists hacker understand the finance institution back end process. Compare with online banking system, bank customers may vulnerable to man-in-the-middle causes privacy leakage. However the overall risk rating lower than mobile finance application software. At least hacker may have difficulties infiltrate to back-end system. Cyber Crime Business Is Still Booming, especially Targeted attack trends. It is hard to tell what is the functionality on mobile finance application software in future. May become a electronic wallet. Since a design weakness has been known, who is the appropriate guy to metigate the on going strategy in future? It is a long story, let’s discuss later! (Banking Environment) Advanced technology – brings of concerns for cyber security! Electronic payment one of the major term of in our daily life. It is hard to imagine that what’s the result once without credit card payment, online payment transfer and mobile payment in the world! The cyber attack hits financial institution more frequently and rapidly especially malware. In this discussion, we are going to investigate modern technology on electronic business bring the impact on financial institution in the long run. 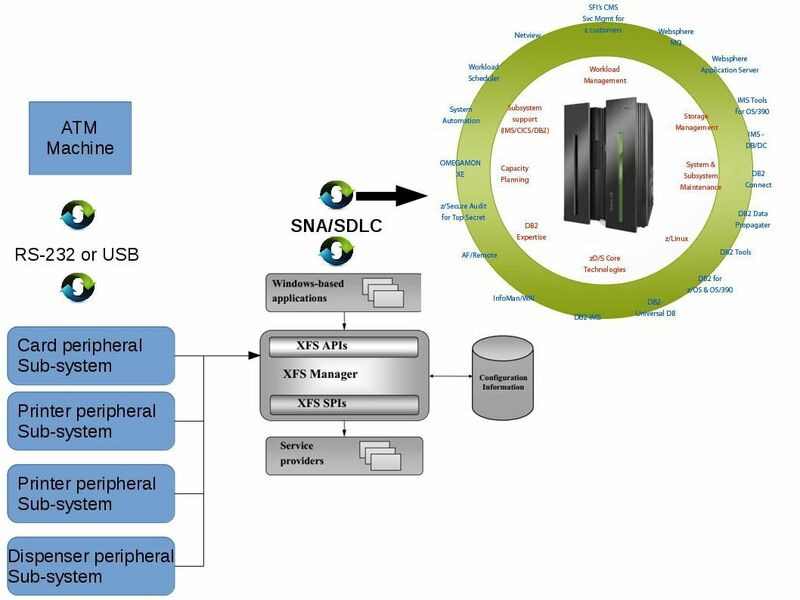 The mainframe computer bring a secure environment to IT world since it operate on a proprietary operation system (z-OS), well defined system architecture (trusted kernel OS). You never heard that a zero-day vulnerability encounters on MainFrame OS or application weekly. As times goes by, the over demanding business activities in the world transfer the motivation equivalent push a secure technology concepts to the cliff side. Can we say Java technology is the instigator? The MainFrame system designer did not have hiccups of their system design since the isolation level of memory and operating system coding not as easy as jailbreak a iPhone iOS or windows OS system. However a security weakness of the system feature might bring an unforeseen tragedy to their environment. Java for OS/390 creates java bytecodes which are not directly executable OS/390 instructions. However a indirect way may possible lets Logical partitions (LPARs) become vulnerable. The combination of buffer overflow and heap spraying is the most common exploitation of pdf malware. How mainframe generate pdf format of file driven by cobol programming language. FPDF is a PHP class which allows to generate PDF files with pure PHP, that is to say without using the PDFlib library. But what is the inherit potential vulnerability of Java. The Java API for JSON Processing provides portable APIs to parse, generate and transform.The COBOL application populates the CRD and passes it to the generation subroutine (RCJSNGEN) with the CRD source in a CALL statement. RCJSNGEN then converts the COBOL data to JSON objects and returns the top level JSON object to the application. Even though cobol program module not vulnerable. But 2 items of high risk application run on top of mainframe Logical partitions (LPARs). But reminds reader that Java for OS/390 creates java bytecodes which are not directly executable OS/390 instructions. Can we say OS/390 can avoid ring zero attack absolutely? 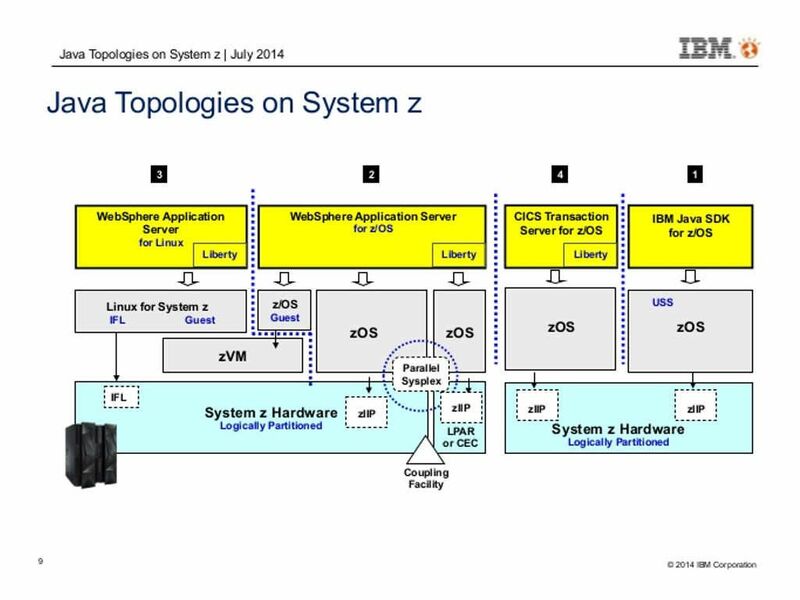 Ok, let take a closer look of Z-OS system architecture. Execute system components (elements) – DB2, CICS, SMF, DFMS. These components are call subsystems. Refer above 3 items, 3 types of memory address looks no direct communication with core OS since they are defined as a subsystem. But what is actual status of hardware DMA memory address resources sharing. For example, FICON to access local storage, network adapter (Ethernet and SDLC). And therefore it is hard to say that modernized mainframe environment as secure as classic mainframe system. The Extensions for Financial Services (XFS) system accidentally driven of finance lost in banking industry. The XFS function is responsible for mapping the API (WFS…) functions to SPI (WFP…) functions, and calling the appropriate vendor-specific service providers. 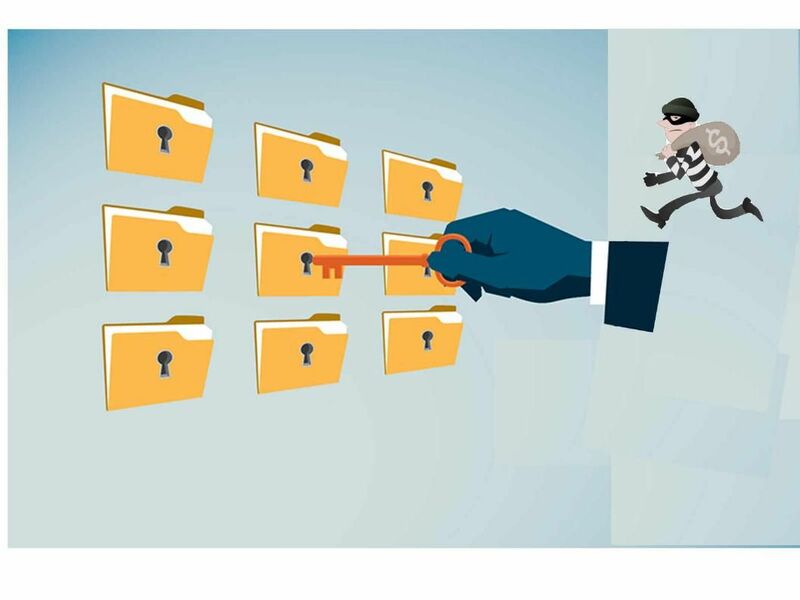 As a matter of fact, the Extensions for Financial Services (XFS) system causes financial lost looks serious than traditional bank robbery case. For instance ATM malware incident or 2016 Bangladesh Bank heist. The total of amount of financial lost are huge. From humanity point of view, feeling of optimism since such financial lost incidents did not injure human life. However it is more difficult to fight with technology crime compare with traditional crime. The Phantom of the payment (SWIFT) – A new system flaw found by Microsoft this week. Is there any relationship? The APAC countries audience might voted “The Phantom of the Opera” is the famous opera, right? I familiar with the song, The Phantom of the Opera is there. Inside my mind. …..Yes, regarding to the subject matter, I digress.The payment flaw incidents happened this year looks didn’t have appropriate resolution to resolve. “To share attack intelligence … SWIFT first needs more hacked banks to come clean.” Brussels-based SWIFT announced the launch of the new team on July 11 as part of a customer security program unveiled by CEO in May. 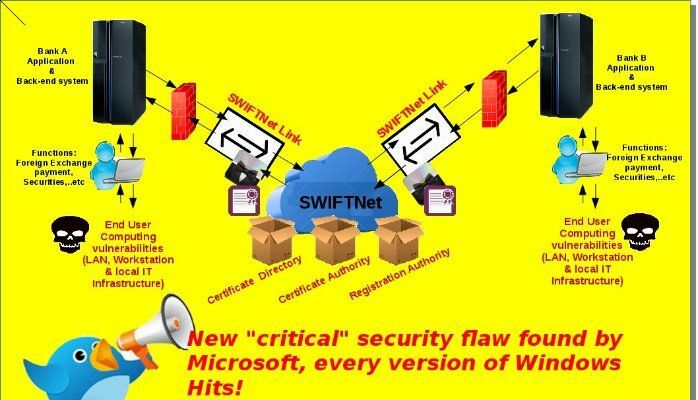 The program was a reaction to persistent security criticism leveled at SWIFT in the wake of the $81 million heist from Bangladesh Bank earlier this year. Read a lot of technical articles and analytic reports receive the understanding of the security weakness of the core system. I am not going to mention too much in this area because you can easily found the related informations on internet. But the payment flaw security incident especially incident happened in Bangladesh bank. As a matter of fact, it bring to our attention that the weakness of end user computing and IT infrastructure let this nightmare occurred. Why do we recall this system flaw again? New issued by Microsoft yesterday, a vulnerability occurs on windows OS system. Yes, we don’t surprise on zero-day weekly. However this vulnerability bring to my attention once again! How importance of end user computing was? The conclusion told that rootkit or malware can relies on this way jump inside windows OS system in silent mode because the print spooler service doesn’t properly validate print drivers! It sounds horrible, right? My personal opinion is that end user computing is the major factor in nowadays IT world regardless of which types of system. I did penetration test on SWIFTNET in 2010 and couldn’t found any critical flaw on SWIFTNET. At that time mistake to believe that modern defence mechanism can fight with insider threats. Seems the stories happened can tell. In the meantime, I strongly believed that the weakness of system (SWIFT) not the major factor causes serious cyber security incident and fraudulent payments. The initial instigator is the end user computing. Let’s keep our eye open and see whether it is true or not. We heard a technical terms named advanced persistent threat since 2013. An information which announced by cyber security company (kaspersky, FireEye, Symantec….etc) but not acknowledge by instigator . The story looks amazing that a security consulting firm (Mandiant) fooled by hacker. By coincidence, it found malicious finger print on gmail account and email message contained alleged resources came from China during investigation. This incident lets people in the world believe that cyber war will be happen in between country to country. A technical vocabulary so called Advanced Persistent Threat spreads around the world. An unauthorized person gains access to a network and stays there undetected for a long period of time. Cyber security terminology so called APT attack. APT style attack confused security experts. Their mechanism contains many shadow nodes. The shadow nodes located in different areas and countries. It can take this advantage and convert as political tool. It is a sword. Careerist can blame another country that they are dishonest using internet. Who’s cast a unrighted wrong, believed that above diagram can provide an idea to you in this regard. Enabled espionage using a variety of intelligence gathering techniques to access sensitive information. Made by the Italian company Hacking Team, use to Hijack Phones for covert collection of emails, text messages, call history and address books, and they can be used to log keystrokes and obtain search history data. Remark: An Official announcement in 2015 near year end, Da Vinci products not going to export to other countries due to data leakage incident happened on their campus. Neodymium uses the W32/Wingbird.A!dha backdoor to spy on users. Promethium is a a “backdoor” program, it is a malware. He will masquerades as popular Windows tools such as WinUtils, TrueCrypt, WinRAR and SanDisk. Remark: CVE-2016-4117 confusion code bug in Adobe Flash equivalent a instigator with Neodymium and Promethium. The Adobe Flash bug allow corrupt one of the objects to extend its length to 0xffffffff (see below source code) and its data buffer to address 0. The attacker are allow to access all of the user space memory once ByteArray corrupted. And such a way attacker execute embedded shellcode. If the Flash Player version is older than 21.0.0.196, the attack can’t execute. The official spy tools looks powerful, however there is another sniff technique which available in the IT world. Not going to teach how to hack the system but it is a better understanding …………..
Government enforcement agency looks not difficult to expand the APT area of coverage. A lot of time they are relies on phishing. The objective of the APT intend to collect sensitive data or voice messages during surveillance program process. And therefore the compatibility of the malware become an important factor. We are not a government agency but we can run a test with similar concept of design. Phishing with Empire – Empire software supports macOS, Linux, and Windows hosts from one listener. The only requirement is that you need find a Command and Control (C2) work with you. The key words advanced persistence threat sound scary however it is only a surveillance program. As a normal citizen I do not believe foreign country have interest on my telephone conversation. From data privacy, it looks that it contained grey area since we do not know the reason why we are under surveillance. Such action let people nervous. However my expectation on these technology is that it must expand to some area in the city which take care the monitor and control of criminal activities. What do you think?